Personal injury paralegals assist personal injury lawyers in all aspects of personal injury litigation from case inception through appeal. Jamie Collins, a paralegal for Yosha Cook Shartzer & Tisch in Indianapolis, Indiana, and founder of The Paralegal Society relates the skills and knowledge necessary to succeed as a personal injury paralegal. Below is information on the role of paralegals in the area of personal injury law including daily responsibilities, challenges, and tips. 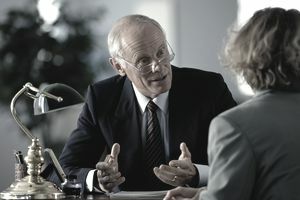 A paralegal working on personal injury/wrongful death cases must know how to interview and screen prospective clients. The paralegal must review a file to determine what the client’s case involves and to determine its current status. Personal injury paralegals must understand the medical aspects of a case to ascertain which medical records and bills to acquire and to determine if future cost projections or experts are required. The paralegal must be familiar with medical terminology and know how to prepare medical chronologies, medical expense itemizations, deposition summaries, and demand packages. A paralegal will address prescription medications and identify which ones may be related to a client’s claim. This means understanding the typical nerve root distribution pattern for injuries involving radicular symptoms (pain that radiates from the spine into a person’s extremities), becoming familiar with the human anatomy, and gaining knowledge of various types of injuries (e.g., if they pose permanent implications or may necessitate future surgery or lifelong expenses). Drafting skills should be part of a personal injury paralegal's capabilities. A paralegal should be able to draft discovery responses and assert all necessary objections to ensure that they are nearly perfect prior to the attorney’s review. The paralegal must also prepare witness and exhibit lists, draft motions, final instructions, verdict forms, and be ready to tackle writing projects. Personal injury paralegals are well-versed in the trial realm. Important tasks include witness preparation (helping to prepare the clients for trial) and preparing voir dire outlines, opening and closing statements, and witness outlines. A paralegal often determines the exhibits to be used and prepares them for viewing. It is also helpful to know the trial rules in the relevant geographic area, the Federal Rules of Civil Procedure, and the Federal Rules of Evidence for trial purposes. Trials are very exciting. Legal Careers: What Is a Personal Injury Lawyer? What Is an E-Discovery Professional?